The treacherous Mangrove Hole presents an imposing look at Key West’s No. 8 hole. KEY WEST, Florida – For some vacations you might want to choose a golf destination. 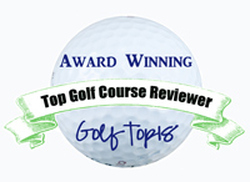 For others golf need be no more than an amenity. You can have easy access to the game, but take advantage of other attractions as well. Key West Golf Club is one of the latter. Its first claim to fame is that it’s the southernmost course in the continental United States. 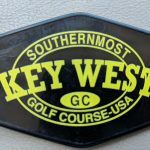 There are no other golf courses in Key West, which is just 90 miles from Cuba, and there are no other championship-style layouts within 100 miles. Vacationers are attracted to Key West by its beautiful sunsets; the shops, bars and restaurants along Duval Street and the Ernest Hemingway Home and Museum more than they are to the city’s only golf course. Still, Key West Golf Club has its fan base as well. It also has a rich Chicago connection. Construction of the course began in 1923 with the Chicago firm of Langford & Moreau in charge. Wiliam Langford was a graduate of both Yale and Columbia who designed over 200 courses prior to his death at age 90 in 1977. Among his credits are a flock of Illinois private layouts — Barrington Hills, Bloomington Country Club, Bryn Mawr, Butterfield, Glen Oak, LaGrange, Park Ridge, Ruth Lake and Skokie. He also designed the Chicago Park District’s nine-holer at Marquette Park. His partner, Theodore Moreau, was the construction foreman for the Langford courses. 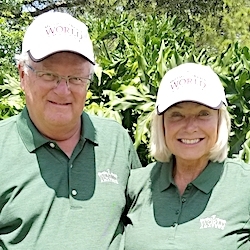 The Key West course owners since 1994 have been Bill and Gwen Smith. Bill is a Chicago real estate attorney. The Smiths also own two Illinois courses — Deer Creek, in University Park, and The Rail, in Springfield — and were long-time owners of Antioch Golf Club. 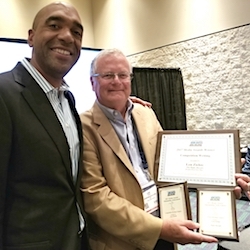 In addition, Doug Carter, who grew up in the Chicago suburb of Mount Prospect, is Key West’s general manager and director of golf. 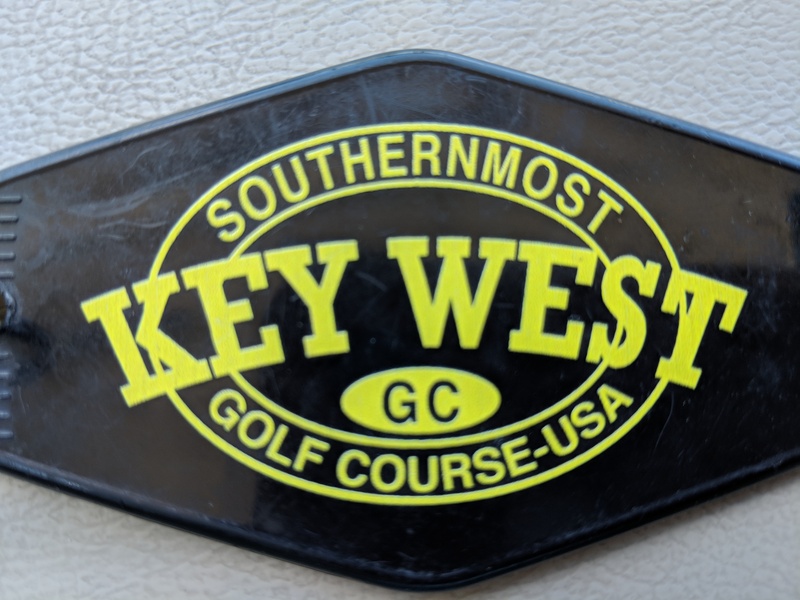 Those connections all played a big part in keeping golf going during some tough times in Key West. The course has shown amazing staying power over the years, and that’s reflected in it being one of 50 layouts included in the Florida Historic Golf Trail. All the Trail courses were established between 1897 and 1949 and are still playable today. It’s good that iguanas are friendly creatures. 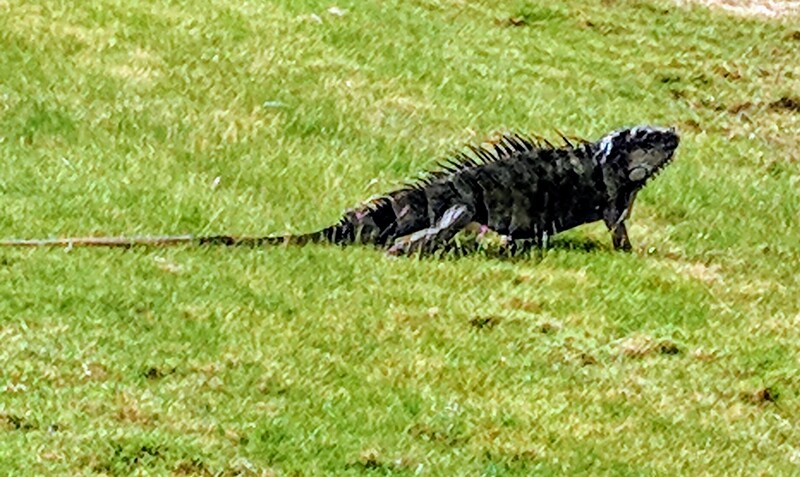 They’re everywhere on the Key West course. Just getting a course in Key West was difficult. The city is an island, just two miles wide and six miles long. Find available space wasn’t easy, but the local Chamber of Commerce was able to do it in 1923 and came up with $150,000 in its budget for a golf course at the entrance to the island. Langford’s design was innovative at the time. With 200 acres of very flat terrain available, his layout featured 10 doglegs, heavy bunkering and an island green when it opened in 1924. A hurricane did severe damage to the facility two years later, reducing it to nine holes, and another in 1935 put the course’s future in serious jeopardy. 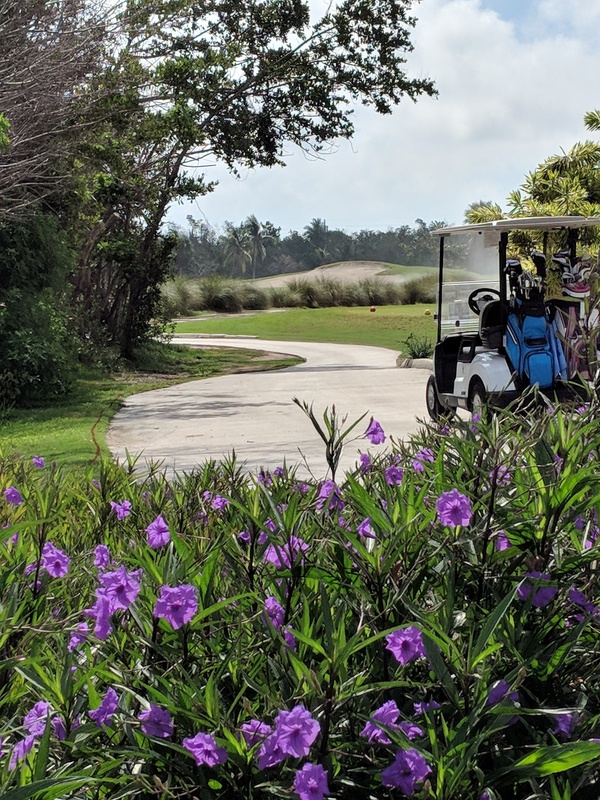 Bright foliage is part of the atmosphere at Key West Golf Club. A group of local players banded together in the 1950s to restore the facility as an 18-hole course and Rees Jones, the famous course architect, tackled the project in 1983 with co-designer Keith Evans. They built a new course on the property. The Smiths took it over and rebuilt all the greens in 2006 and 2007. The present layout has an eye-catching signature feature – the infamous Mangrove Hole. It’s No. 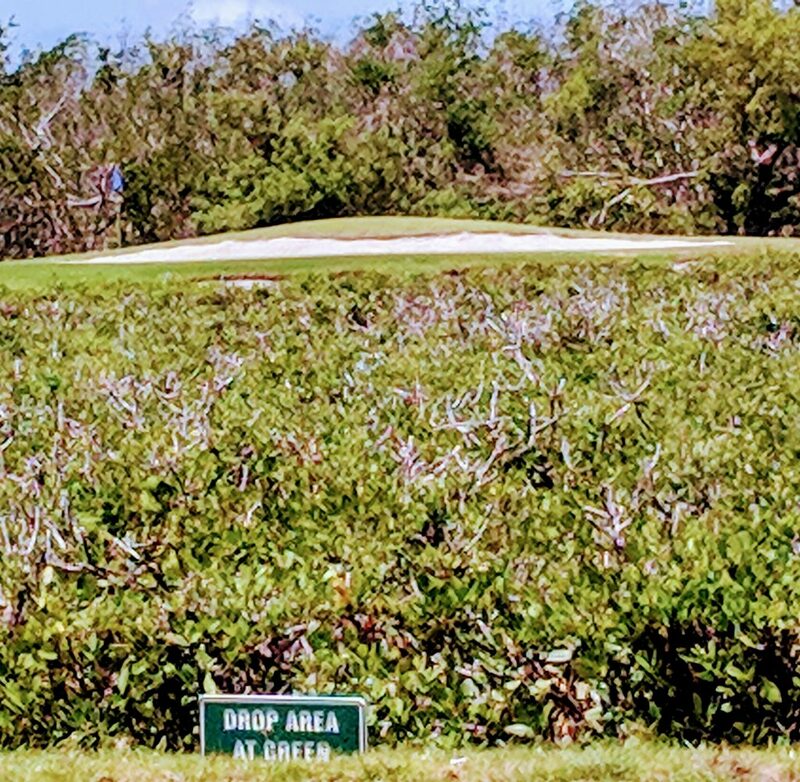 8 on the scorecard, a par-3 that plays from 129 to 185 yards with thick mangrove terrain creating a forced carry from the tee box all the way to the green. Otherwise, the course is on the short side because of its land constraints. It plays at 6,531 yards from the tips and is a par-70. There’s plenty to look at as you work your way around it, as the wildlife and foliage aren’t quite like any of the many Florida courses we’ve visited over the years. 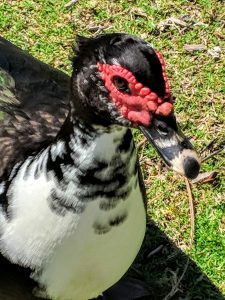 Key West’s ducks aren’t pretty, but they sure are friendly. For us this adventure started with an iguana slithering across the No. 1 tee box. That struck us as highly unusual – we hadn’t seen any on our many visits to other Florida courses – but it wasn’t. Those interesting-looking, apparently harmless creatures were in evidence on most holes. The unique-looking ducks were even more golfer-friendly. They would come right up to your cart looking for food. The pastel-colored coastal homes around the course also enhanced the ambience. Irma, the latest major hurricane to hit Florida, did damage to most every course in the state last September and Key West was one of the harder hit communities. Key West Golf Club, though, suffered only minimal damage. We found a course that – at the end of the tourist season – was still in quite decent shape. A little pricey, perhaps, but Key West Golf Club is a friendly place with a user-friendly course that blends in nicely with the unique community in which it’s located. 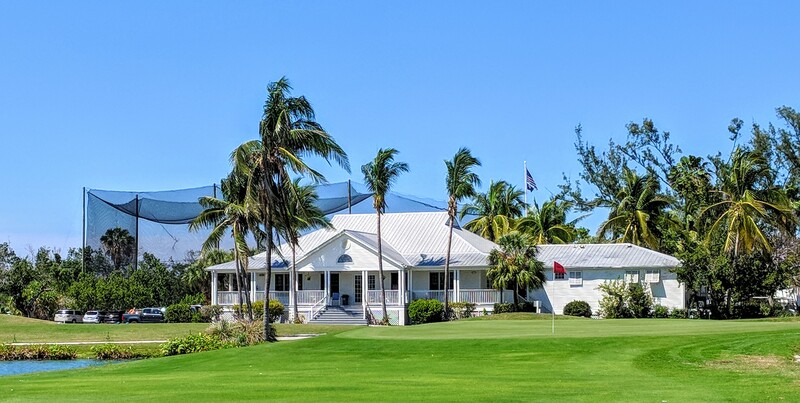 Key West’s cheerful-looking clubhouse sets the tone for a pleasant golf experience.